One of the biggest disasters that can happen to your home is a flooded basement. Floods can damage your valuable property, destroy or contaminate your drywall and floors, and lead to the growth of mould, which can pose mild to severe health risks. You can turn to certain types of drains to prevent flooding. If you want to know how to prevent flooding in your basement, or if you’re looking for solutions for the mitigation of floods, here’s what you need to know. The French drain is designed to direct surface runoff water and groundwater away from the foundation of the home or the affected area. The advantages of using a French drain are reduced hydrostatic pressure and removal of excess moisture from the soil via the collection of groundwater and surface water. By keeping the flood water away from the building space, the structural strength of the building can be maintained. These drains are typically installed below the affected area to make sure that the pressure is reduced. Although it is possible to install one on your own, it is always a good idea to have a professional install it for you. Properly constructed and installed French drains can be extremely helpful in preventing floods. The full gutter system directs storm water away to ponds, collection systems, or storm water management areas. These systems are ideal for collecting roof runoff and capturing rainwater so that none of it ends up inside the home’s foundation. Even a small amount of excess water near the foundation of the home can erode the soil around the area, causing the potential for leakage. Places like the basement or crawlspace sometimes have a sump pump, which collects excess water to prevent flood damage. 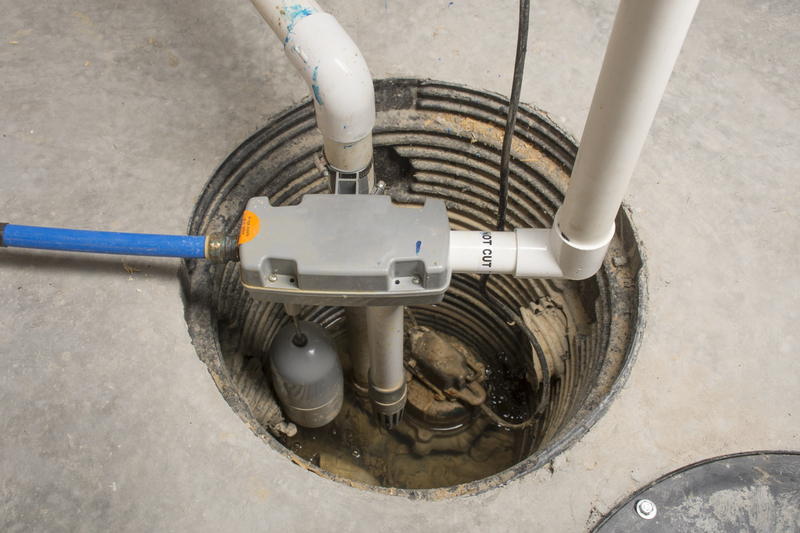 Many homes already have a sump pit in place, but if your home does not, it is a good idea to install an isolated pump. A professional flood damage restoration company can install this device for you to ensure that it operates correctly. This type of installation is a great solution for people who live in low-lying areas. It can prevent large-scale flooding, which can not only damage your property but also cause health complications. There are typically two types of sump pumps: submersible and pedestal. Submersible sump pumps have the motor submersed in the water and are quieter but more challenging to adjust. Pedestal sump pumps have the motor above the water, which means they are noisier but easier to adjust. If you’re looking for information on flood causes and prevention, the professionals at Flood Services Canada can help you. Our 24/7 service teams are ready to provide you with quick-response action to minimize damage in the event of an emergency. We provide thorough structural drying, decontamination, deodorization, and debris removal to get your home back to a safe and functional state, so contact us at (416) 302-2107 to learn more about how to protect your property. Or, if you are experiencing an emergency, call our hotline at (416) 999-3930. Our rapid-response team will quickly be deployed to your area to assess the situation and get you the help you need.